April 6th, 2018. A Cardfight!! 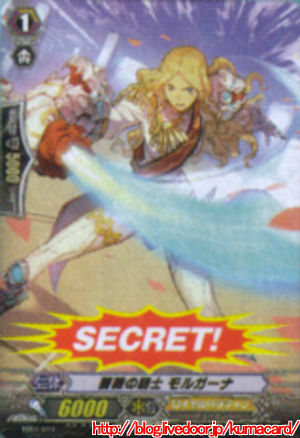 Vanguard display from this year's Spring Fest in Kuala Lumpur, Malaysia, has revealed a new Rare from the upcoming V-Booster Set 01: UNITE! TEAM Q4!, Knight of Rose Morgana. AUTO [Rearguard Circle]: When it attacks a vanguard, [Soulblast 1], and this unit gets Power +3000 until end of turn for each grade of your vanguard. How much actual play Morgana will see in the final game will likely depend on how many copies of Wingal Royal Paladin cardfighters choose to run, as compared with Allen and Marron, Wingal is shaping up as the most-situational grade 1 in the deck. 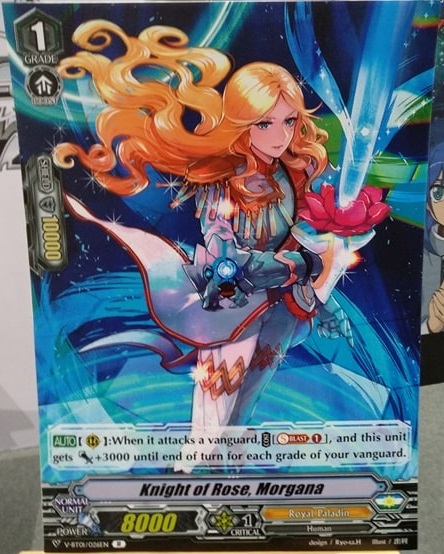 This Morgana is V-BT01/026 in the V-T01 card list, making her the last known Royal Paladin on the list at this time. Kagerо̄'s Single Rares currently span slots 033~034, and Oracle Think Tank's Rares are expected to be between Royal Paladin's and Kagerо̄'s. The first Booster Set of the Standard format, V-BT01: UNITE! TEAM Q4! will launch in Japan May 25th, 2018, and in English June 22nd, 2018. 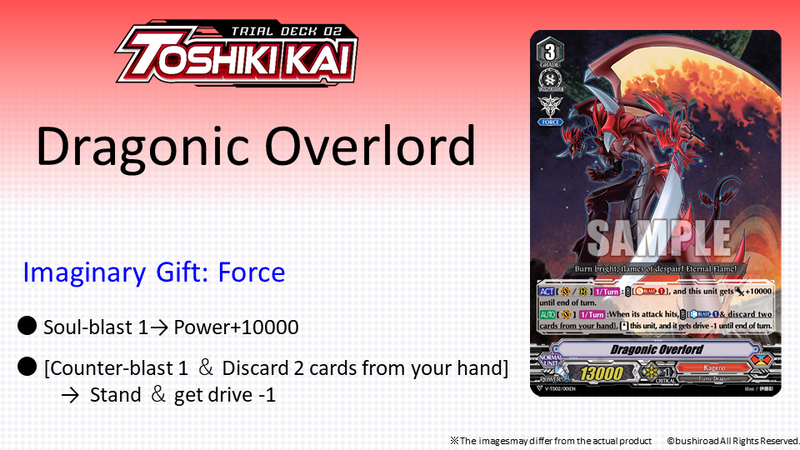 It will be preceded by V-Trial Deck 01: Sendou Aichi and V-Trial Deck 02: Kai Toshiki, which will launch in Japanese May 11th, 2018, and in English June 8th, 2018. They will be accompanied by a new sleeve based on the "Imaginary Gift" design. The first Extra Booster set, V-EB01: The Destructive Roar will launch in Japan June 29th, 2018, and in July for the English-speaking world. The accompanying new anime series, codenamed "Origin," will begin airing May 5th, 2018, on TV Tokyo and affiliated stations. It will be simulcast with English subtitles on YouTube and Crunchyroll.